As much as I love snacking it’s so hard to find “healthy” snacks, especially on the go. 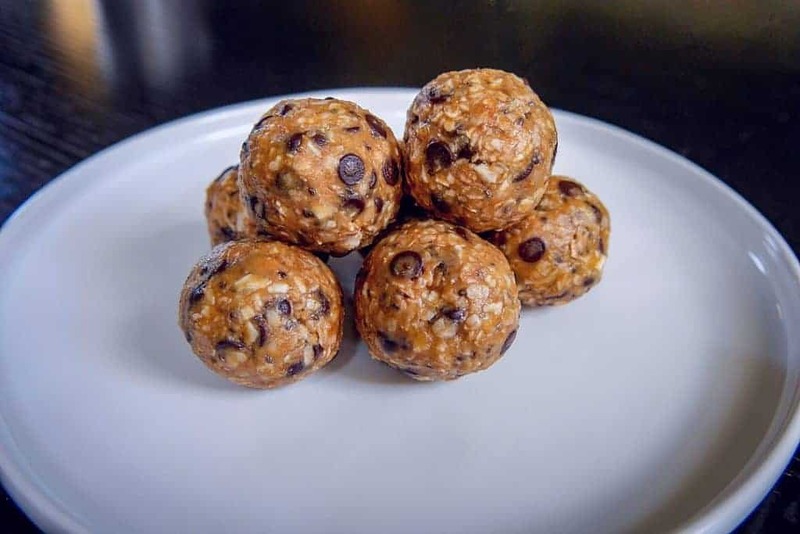 These energy bites are perfect any time of day to satisfy your hunger and cravings. 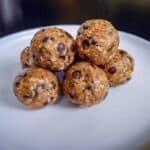 With only 8 ingredients (most of them probably already in your pantry) these are very easy and quick to make. 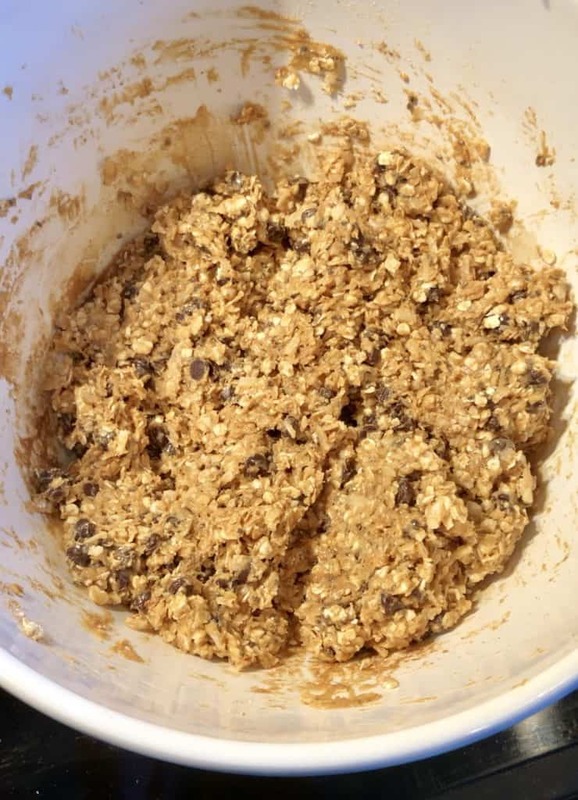 When it comes to the oats, make sure you’re using quick rolled oats since we will not be cooking any of the ingredients. I know everyone has their favorite peanut butter, but if you haven’t tried Trader Joe’s ‘No Stir Creamy’ you MUST. It’s so creamy and tasty (approved by my dog Rey as well). You’re going to mix all the ingredients up in one bowl. The maca powder I randomly came across at the grocery store one day. 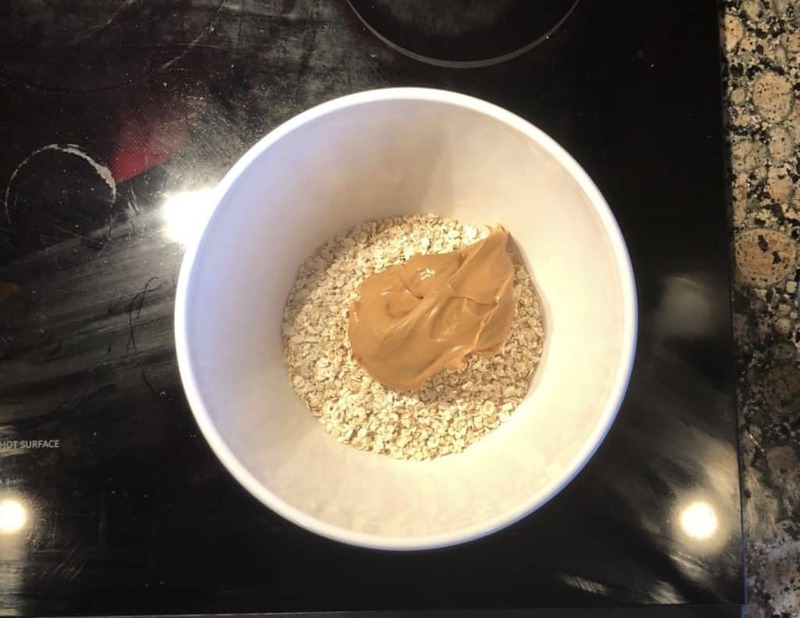 It has an earthy nutty flavor that pairs perfectly with the peanut butter and oats so you don’t even taste that it’s there. As far as benefits go: it is said to be energy boosting, hormone regulating, mood elevating, and improve brain function. 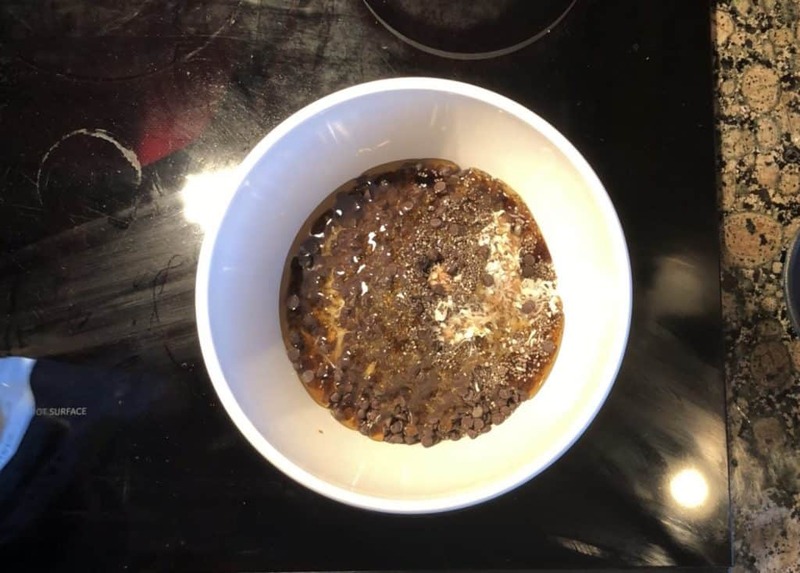 Seems like it belongs in an energy bite to me! Once you stir it all together, cover the bowl and put in the refrigerator for 20 minutes. Now comes the fun part, rolling them into balls! I used a melon-baller (not sure if that’s the official name lol) to keep the sizes uniform, they were about 1 inch each. Once you’re done store them in the fridge and happy snacking! The perfect snack to give you that extra boost during the day. 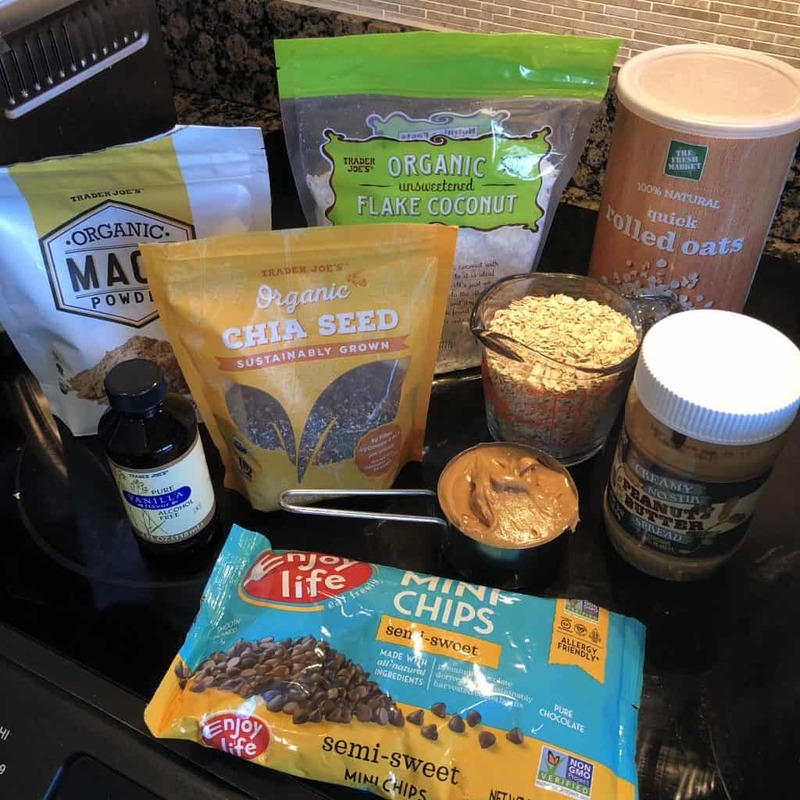 With peanut butter, oats, maca powder, and more! 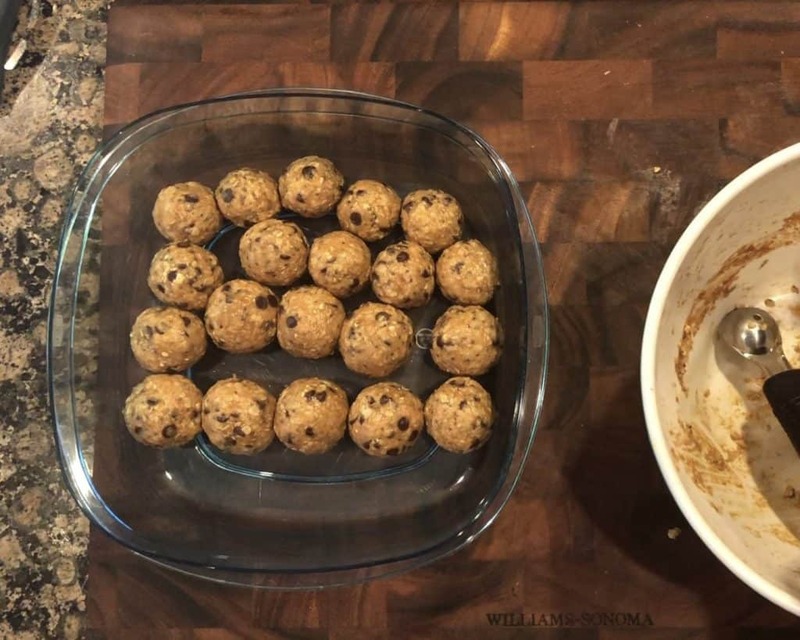 Remove from refrigerator, roll into 1-inch balls, store in refrigerator.